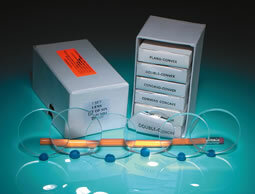 Ideal for optics experiments of any kind this set contains 6 lenses, one each of double convex, plano-convex, concavo-convex, double concave, plano-concave, and convexo-concave lens. Comes in are-usable cardboard storage box. All lenses are high quality optic-grade glass and are 50mm ( that's just under 2" ) in diameter.